Juan R. I. Cole is Richard P. Mitchell Collegiate Professor of History at the University of Michigan. For three and a half decades, he has sought to put the relationship of the West and the Muslim world in historical context. His most recent book is Muhammad: Prophet of Peace amid the Clash of Empires (Bold Type Books, 2018). He is also author of The New Arabs: How the Millennial Generation is Changing the Middle East (Simon & Schuster, 2014) and many other books. He has translated works of Lebanese-American author Kahlil Gibran. He has appeared widely on media, including the PBS News Hour, ABC World News Tonight, Nightline, the Today Show, Anderson Cooper 360, Rachel Maddow, Chris Hayes' All In, CNN, the Colbert Report, Democracy Now! and many others. He has written about Egypt, Iran, Iraq, the Gulf and South Asia and about both extremist groups and peace movements. 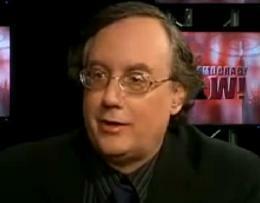 He has regular columns at The Nation and Truthdig and is proprietor of the Informed Comment news and analysis site. Cole conducts his research in Arabic, Persian and Urdu and Turkish as well as several European languages. He knows both Middle Eastern and South Asian Islam. He lived in various parts of the Muslim world for more than a decade, and continues to travel widely there. He has written, edited or translated 18 books and authored over 90 articles and chapters. A bibliography of his writings may be found here. ; Distinguished Visiting Professor, Center for Gulf Studies, Qatar University, Spring 2018.
; Visiting Fellow, Doris Duke Institute of Islamic Art, Honolulu, December 2016.
; James Aronson Award for Social Justice Journalism, Hunter College, 2005. At the University of Michigan, he teaches courses on the modern history of the Middle East and on South Asia. He regularly teaches History 241, America and Middle Eastern Wars. He also offers a survey, History 443 Modern Middle East History. For graduate students he offersr History 664 Studies on the Modern Middle East, History 749 Seminar on the Modern Middle East, and History 793 The Study of the Near East, and has co-taught History 615 Comparative World History. 1999-2004. Editor, The International Journal of Middle East Studies (Published by Cambridge University Press for the Middle East Studies Association of North America). 2003- Editor, H-Mideast-Politics Electronic Forum. 1993 Columbia University, Middle East Institute: Outside Reviewer. The Coles were originally the Kohls, from the County of Hessen-Darmstadt, and had a connection to the lumber business there. For more on the Cole genealogy click here. They emigrated to the U.S. around 1830, settling in Pennsylvania as dairy farmers. A branch moved south to Winchester, Virginia, late in the nineteenth century. They intermarried with the Hills and the Largents. His maternal line, the McIlwees and Rudolphs, had a long history in the Shenandoah Valley, where Cole has roots. He did not spend much time there. Rather, he grew up in a peripatetic military family that happened to be in Albuquerque, N.M., when he was born, and had two long tours in France (all together nearly seven years) and one 18-month stay at Kagnew Station, in Asmara, Eritrea (then Ethiopia), and which lived all over the U.S. After going to Northwestern and becoming interested in Islamics and the Middle East, he went on to live some seven years in the Arab world, and another two and a half in South Asia (India and Pakistan, mainly Delhi, Lucknow and Lahore). He writes primarily about three broad areas: the social and cultural history of modern Egypt; the religious and cultural history of modern Iran and Iraq; and religion in South Asia. His hobbies include reading literary novels and science fiction, learning languages, bicycling, and the internet and the information revolution. He married the former Shahin Malik in Lahore in 1982.